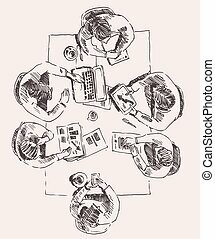 Business meeting top view. 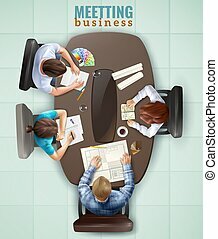 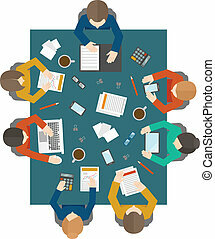 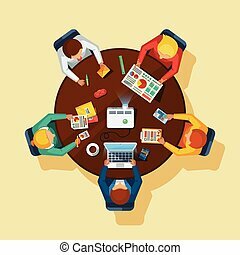 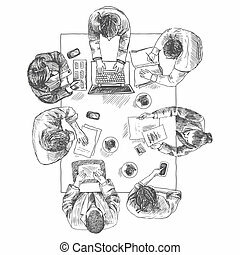 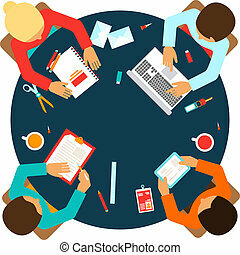 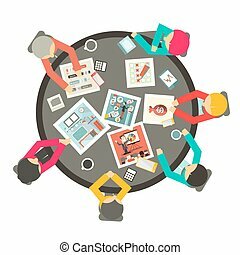 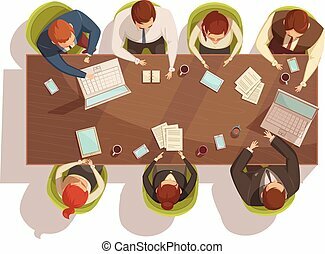 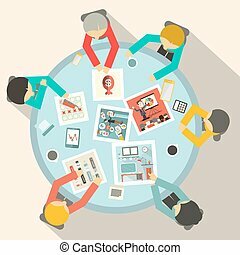 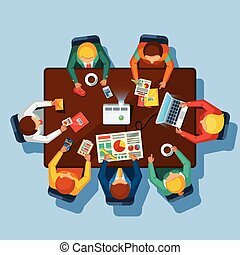 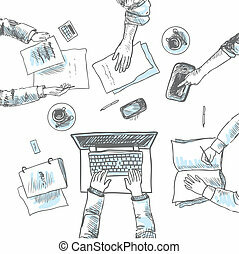 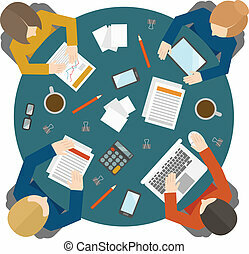 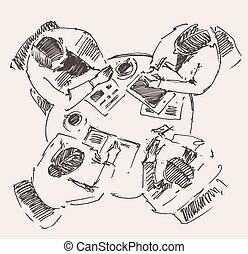 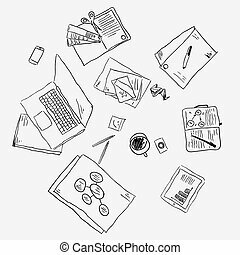 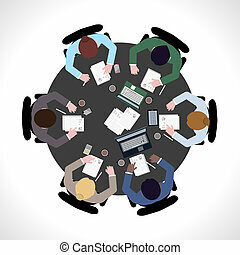 Business team meeting concept top view people on table sketch vector illustration. 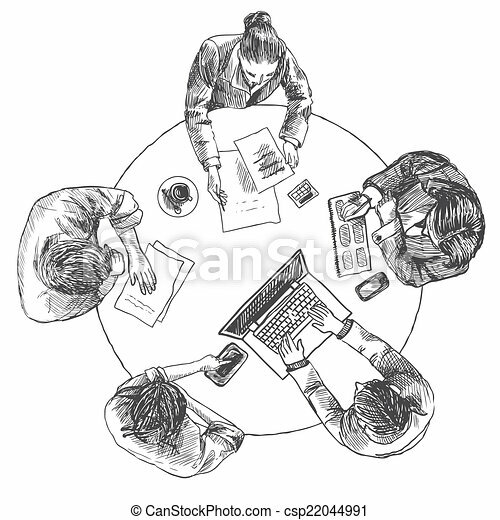 Business Meeting. 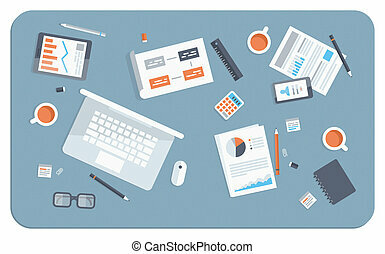 Top View Flat Design Vector Illustration.Businessmen with Graphs and Computer. 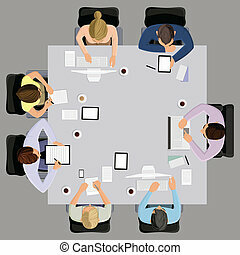 Business meeting training top view manager office, brochure, flyer, booklet. 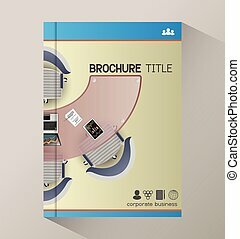 Cover Template design. 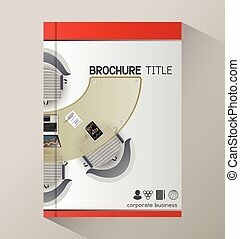 Modern Cover Template. 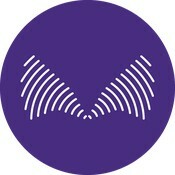 Vector Cover Template. 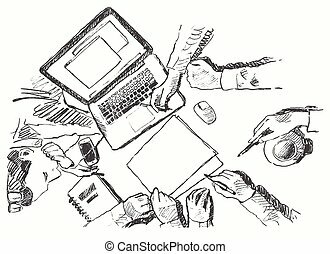 Book Cover Template. 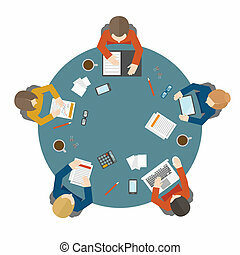 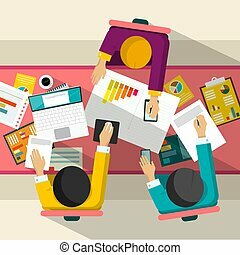 Flat design modern vector illustration concept of teamwork analyzing project on business meeting. 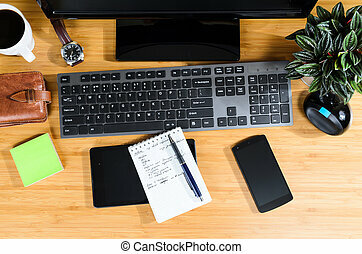 Top view of desk background with laptop, mobile and digital devices, office objects and staff, papers and documents.